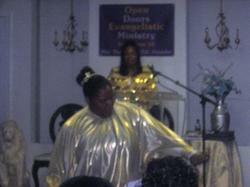 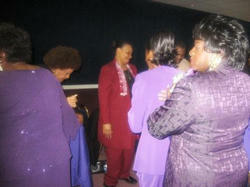 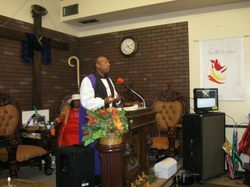 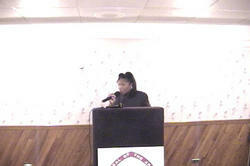 Dr. Carol Sherman ministering at Cezars Inn circa 2004. 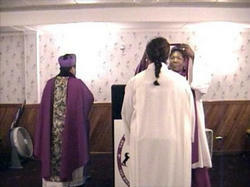 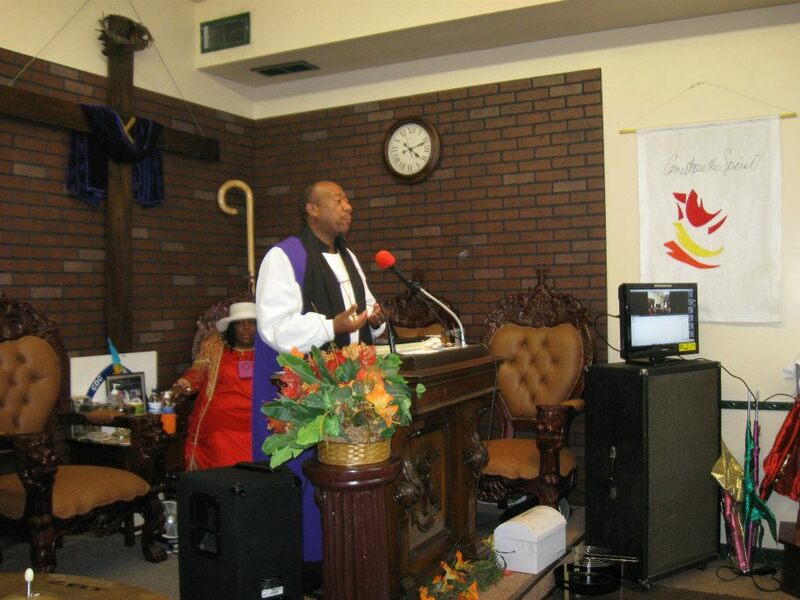 Dr. Sherman placing the Stole on Apostle Karon L. Williams during her Apostolic Consecration. 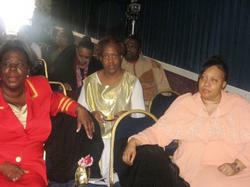 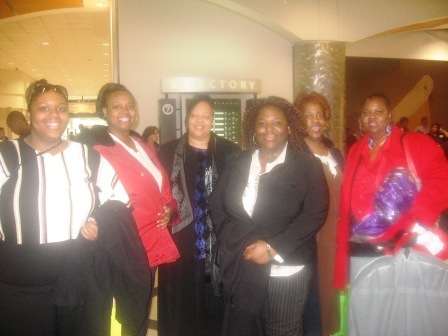 Patricia, Deaconess Angie, Evangelist Sandra, Deaconess Mary, Evangelist Carr, and Deaconess Banks in Lithonia, Ga.
Pastor Iola Flippin, Evangelist Carr, and Evangelist Sandra Smith in service at Open Doors Evangelistic Ministry, Atlanta, Georgia.